A project planning timeline example is presented to show how convenient to use timeline for project management. 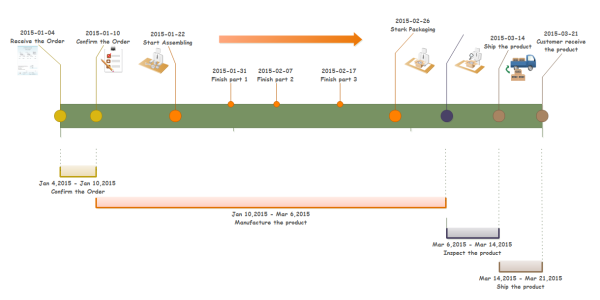 You can download this template and represent your own project planning timeline. With abundant built-in timeline shapes and templates, it's rather easy to create presentation-quality timeline for project planning. By positioning each step on the time bar, you can clearly recognize the project phases and deadlines. This project planning timeline is available in vector format, allowing anyone to download and use. 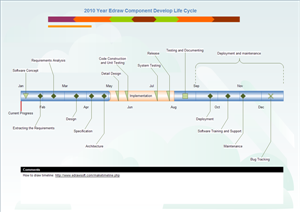 Discover why Edraw is an excellent program to create project planning timeline. Try Edraw FREE.